8GB iPod and four copies of Roxio's digital media suite to give away! Wouldn't it be great to have one single application that could help you make even more out of your digital media files - whether they are music, photo, video or data files? Perhaps you are looking to create a perfect audio playlist or convert a CD audiobook that you can listen to on your MP3 player whilst working out in the gym? Maybe you want to upload video files to YouTube with one click? Or you may want to convert TV or video files from your PC and watch them while out and about on a handheld device. You might even want to burn or copy High Definition data onto a standard DVD. Dream no more. 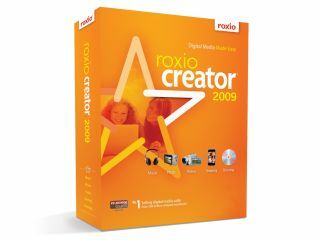 Creator 2009 (RRP £49.99) from Roxio gives you the tools to save time, hassle and to enhance your digital lifestyle. The Suite contains hundreds of easy-to-use applications that help you keep track of all your movies, photos and music, seamlessly sharing formats and automatically loading up your digital devices. The built-in Media Manager, meanwhile, automatically synchronises data between your Windows Vista or Windows XP PC and portable devices such as iPods, PSPs and mobile phones. We've teamed up with Roxio to offer an 8GB iPod touch with a copy of Creator 2009 to one lucky winner, with an opportunity for three runners-up to bag a copy of the Suite. Andrew Dee (winner), Celia West (runner up), Lisa Backhouse (runner up), Duncan Wilson (runner up). For more information on Roxio Creator 2009, visit www.roxio.co.uk.